True Founders of the Guardian Angels Jefferson Nightwolf and Jerry Eaglefeather Monroe. Head Instructors for the entire Group, and founders of two more groups inside the Guardian Angels. The Guardian Angels SWAT Team, and the Guardian Angels Master Patrols [MP's]. Founded by Jerry Eaglefeather Monroe. Not Curtis Sliwa. 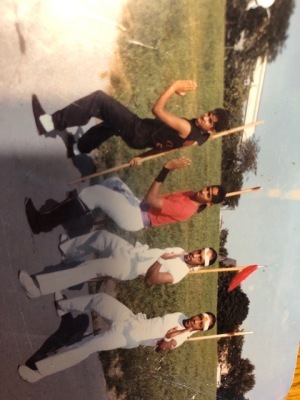 The Twin Dragons Group the Shaolin Protectors before they formed of the Guardian Angels. Clayton Prince Tanglsy [Cosby Show] Chato Lega and Grandmaster Chief Blackwalk Sancarlos at a Martial Benefit. One of the leaders in the Guardian Agnels Kahlil Ali tells the truth about the forming and founding members of the Guardian Angels. Co-Founder of the Guardian Angels Jerry Eaglefeather starts a New Patrol inside the Guardian Angels called the Guardian Angels SWAT team. Its eillet memers inside the Guardian Angels. Co-Founder Jerry Eaglefeather on the right. Here are some read hard facts about the Guardian Angels. 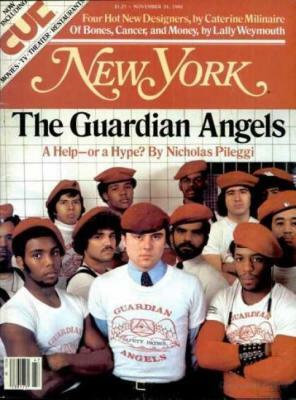 1 Did Curtis Sliwa Think of the Guardian Angels on his own? False! 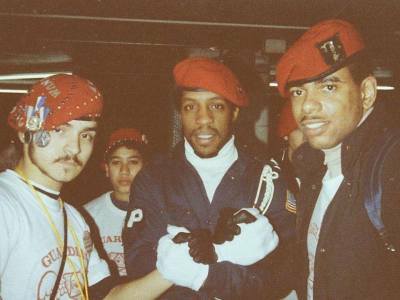 Curtis Sliwa had a group called the Rock Brigade that cleaned up Fordam road streets in the Bronx. He also later came up with a group known as the Magnificent 13 consisting of 13 members who worked with him in a MacDonalds Store on Fordam Road in the Bronx. They patroled the #4 train. Was the Guardian Angels the first group the Twin Dragons had? Prior to the forming of the Guardian Angels. 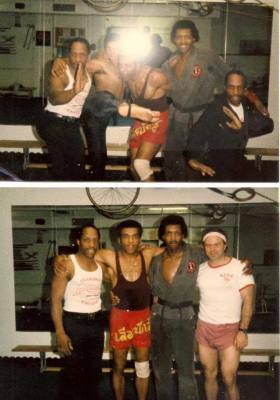 Jeff and Jerry Monroe had formed an elite group of young fighters known as the Shaolin Protectors. Since they where well trained in the martial arts they where know in the turnement world as The Twin Dragons. Thier father Grandmaster Black Hawk Sancarlos is an Apache Mohawk and had one of the First Karate Schools in America. Co-Founder of the Guardian Angels Safety Patrols, Leader Jerry Eaglefeather Starts even another Patrol inside of the Guardian Angels known as the Guardian Angels Master Patrols. 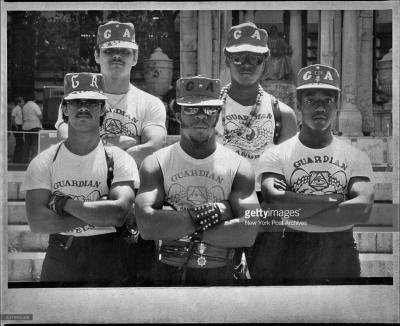 A paramilitary group that served in the most harshes areas of NYC. Highly trained in the Martial Arts and Skilled in Military combat. 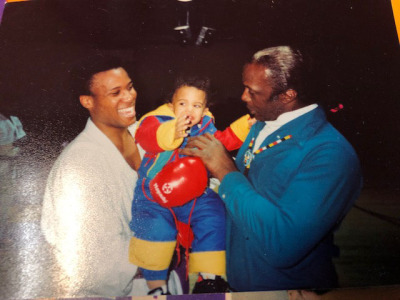 Grandmaster Jerry Eaglefeather, Grandmaster Ron Van Clief, and Grandmaster William Taylor.